Vineyard Theatre Artistic Directors Douglas Aibel and Sarah Stern announce casting for the New York premiere of KID VICTORY, book and lyrics by Greg Pierce, music by John Kander with story by John Kander and Greg Pierce, and directed by Liesl Tommy. Single tickets are available at www.vineyardtheatre.org or by calling 212-353-0303. KID VICTORY cast will feature Ann Arvia (MARY POPPINS), Joel Blum (STEEL PIER), Laura Darrell (FROZEN LIVE at Hyperion Theater), Jeffry Denman (WHITE CHRISTMAS), Brandon Flynn (“Thirteen Reasons Why”), Daniel Jenkins (MARY POPPINS), Dee Roscioli (WICKED), Tony Award winner Karen Ziemba (CONTACT), and Blake Zolfo (THE LIGHTNING THIEF). KID VICTORY will begin previews on Wednesday, February 1 and open on Wednesday, February 22 at the Vineyard Theatre (108 E. 15 St. in New York City). In KID VICTORY, seventeen-year old Luke returns to his small Kansas town after a wrenching one-year absence. As his friendship grows with the town misfit, Emily, his parents realize that in order to truly find their son, they must confront some unnerving truths about his disappearance. Four time Tony Award winner John Kander, with the late Fred Ebb, wrote the legendary musicals CHICAGO, CABARET, and THE SCOTTSBORO BOYS. He and Greg Pierce collaborated on the musical THE LANDING presented in 2013 at Vineyard Theatre. 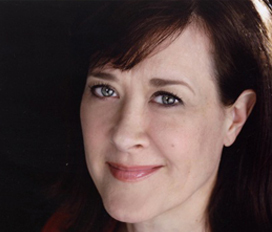 Liesl Tommy received a Tony Award nomination for her direction of ECLIPSED on Broadway. KID VICTORY is a co-production with Signature Theatre in Arlington, Virginia. KID VICTORY will feature choreography by Christopher Windom (Dallas Theater Center’s LES MISERABLES), scenic design by Tony Award winner Clint Ramos (ECLIPSED), costumes by Jacob Climer (INFORMED CONSENT), lighting by David Weiner (Vineyard’s THE BEAUTIFUL CITY), and sound design by Tony Award nominee Peter Hylenski (AFTER MIDNIGHT). David Loud (THE SCOTTSBORO BOYS) serves as music supervisor, Michael Starobin (FALSETTOS) as orchestrator, and Jesse Kissel (THE VISIT) as music director. Dedicated to the creation and production of daring new plays and musicals, The Vineyard has consistently premiered provocative, groundbreaking works, including Paula Vogel and Rebecca Taichman’s INDECENT which will begin performances on Broadway in April and Branden Jacobs-Jenkins’ Pulitzer Prize finalist GLORIA which will transfer to the Goodman Theatre in Chicago; last season’s DOT by Colman Domingo; Nicky Silver’s THE LYONS; Marx, Lopez and Whitty’s Tony Award-winning musical AVENUE Q; Kander and Ebb’s THE SCOTTSBORO BOYS; Bell and Bowen’s [title of show]; Paula Vogel’s HOW I LEARNED TO DRIVE (1998 Pulitzer Prize); Edward Albee’s THREE TALL WOMEN (1994 Pulitzer Prize); Tarell Alvin McCraney’s WIG OUT! ; Becky Mode’s FULLY COMMITTED; Jenny Schwartz’ GOD’S EAR; Will Eno’s MIDDLETOWN; and many more. The Vineyard’s productions have been honored with two Pulitzer Prizes, three Tony Awards, and numerous Drama Desk, Obie, Outer Critics Circle and Lucille Lortel awards. 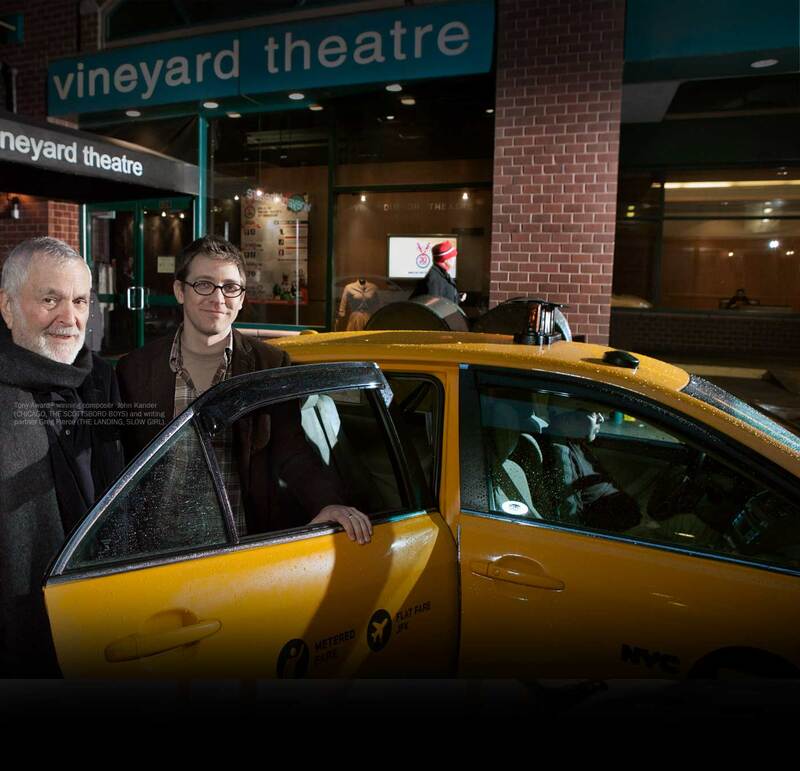 The Vineyard Theatre’s leadership includes Artistic Directors Douglas Aibel and Sarah Stern.